Remarks: Enjoy North Captiva Island’s ”Beauty & The Beach” vacation home. 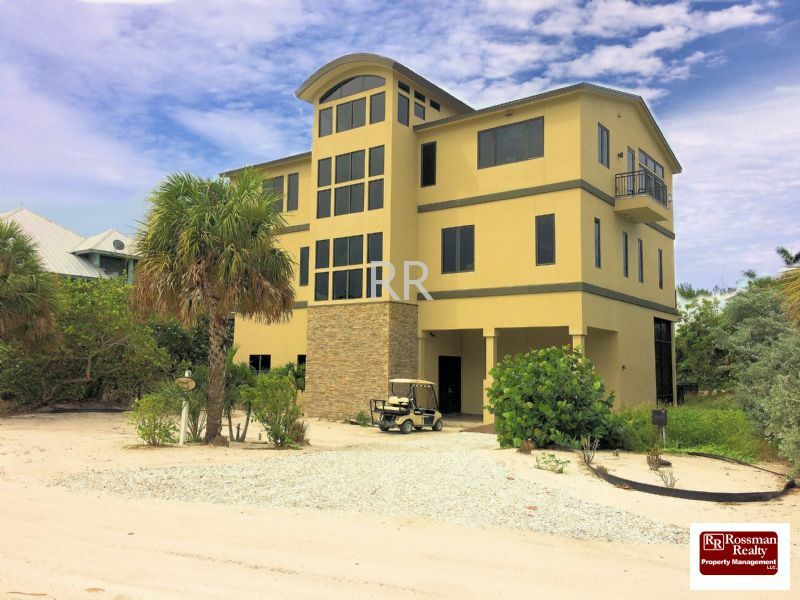 This fabulous 5 bedroom, 5.5 bath Vacation home is located directly on the white sandy beaches of the Gulf of Mexico! From the moment you arrive you will be mesmerized by the wonderful architecture, furnishings, amenities and sweeping views of the Gulf of Mexico. Beauty & The Beach is over 6000 square feet with more than 3500 square feet of living space and 2500 square feet of open and screen decks. Beauty & The Beach has one of the only private pool areas directly on the beach with your own private boardwalk to the beach. This home is built for island living and setup for large multi generational families. A private elevator lands on all levels. North Captiva is an amazing place to explore and Beauty & the Beach is equipped with a golf cart for up to six passengers to cruise in. 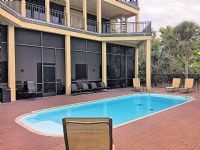 There is plenty to do at Beauty & the Beach with a game room, heated pool, beach chairs, toys and beach towels. Also enjoy cooking in a gourmet kitchen with Wolf range and Sub-Zero refrigerator. The home is loaded with flat screen TVs. You won’t want to leave this amazing sanctuary. The home allows up to 14 people and there is plenty of room to stretch out with a den, living room, game room, many porches and the pool area. Also, enjoy a fabulous roof top deck with our amazing SW Florida sunset and sunrise views! The sleeping arrangements are top notch with five large bedrooms each with a private full bath. 3 Bedrooms with sliding glass doors that open onto the outside patios. You may bring your own boat and Anker it at the beach or park at the dock in town. 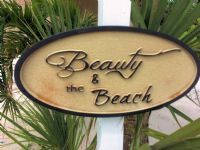 Beauty & the Beach is currently being rented throughout the year. You won"t find a more spectacular home or expansive, private white sandy beach. Remote location and undiscovered, North Captiva Island is accessible only by ferry or private boat. This private island community is reminiscent of old Florida as it once was during a simpler time. Just 3 miles off shore, this tropical paradise is part of the Lee Island Coast barrier island chain in South West Florida. Nearest airport to fly to would be in Fort Myers, Fl. Travel by golf cart or bicycle on our sandy native trails. Here, you will find no cars, no crowds or paved roads. 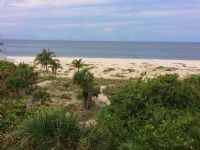 North Captiva Island offers a small town impression with just enough amenities to suite your family needs. We welcome you to join us for a truly memorable experience of a self-effacing refuge, where a slower pace is expectant.